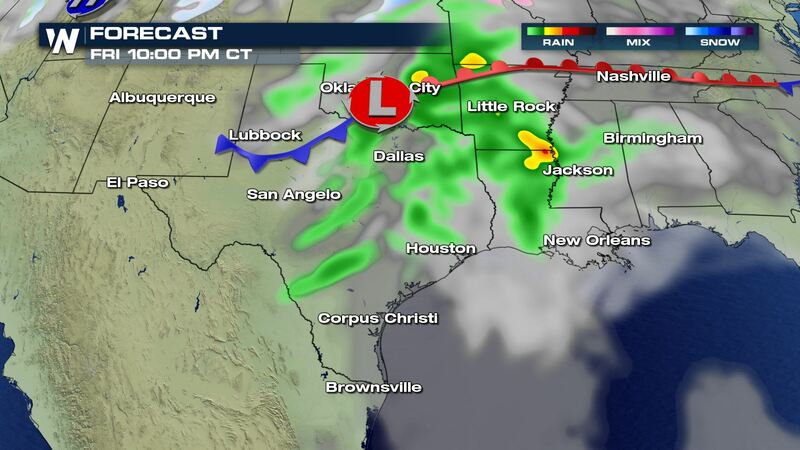 The system moving across the country that will bring heavy snow to the Plains and Northeast this weekend will also provide a chance for showers and storms across North Texas and southern Oklahoma. Some storms could be severe. Here is the very latest. 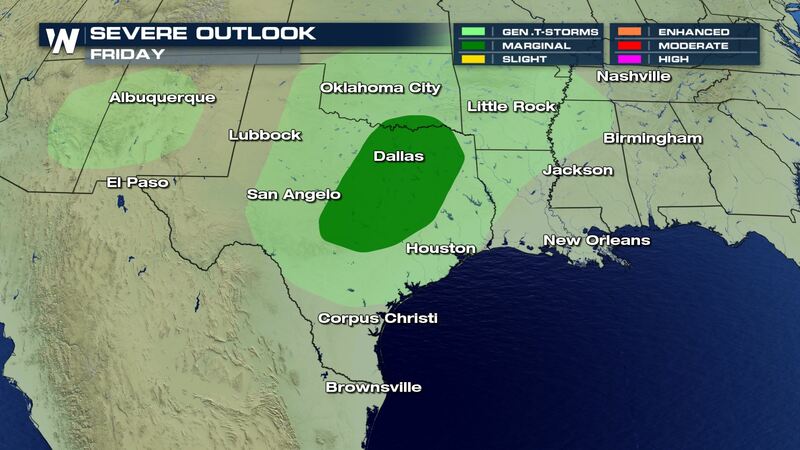 A Marginal risk for severe weather has been issued by the Storm Prediction Center for Friday. 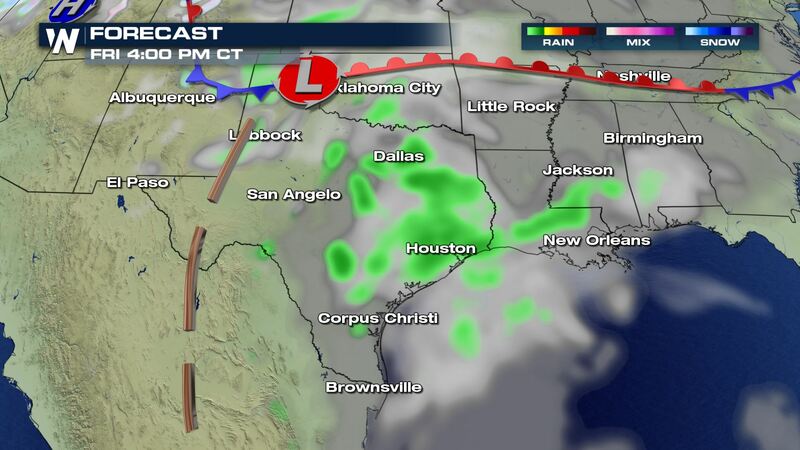 This means isolated severe storms will be possible. Large hail looks to be the biggest weather risk. 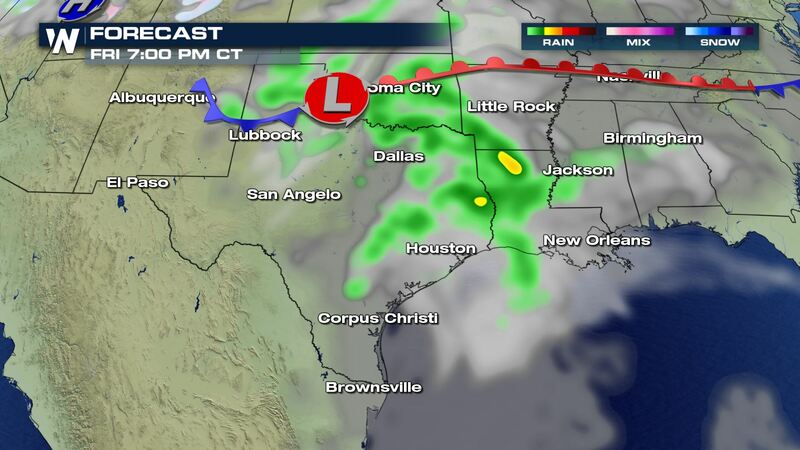 Here is the latest timing of the showers and storms over Texas and Oklahoma. Throughout Friday the storm chances will be in the forecast, but the highest chance for the strongest storms will be in the afternoon and the evening. Keep checking with WeatherNation for more updates.